The author of this week’s post is Boog Ferrell. 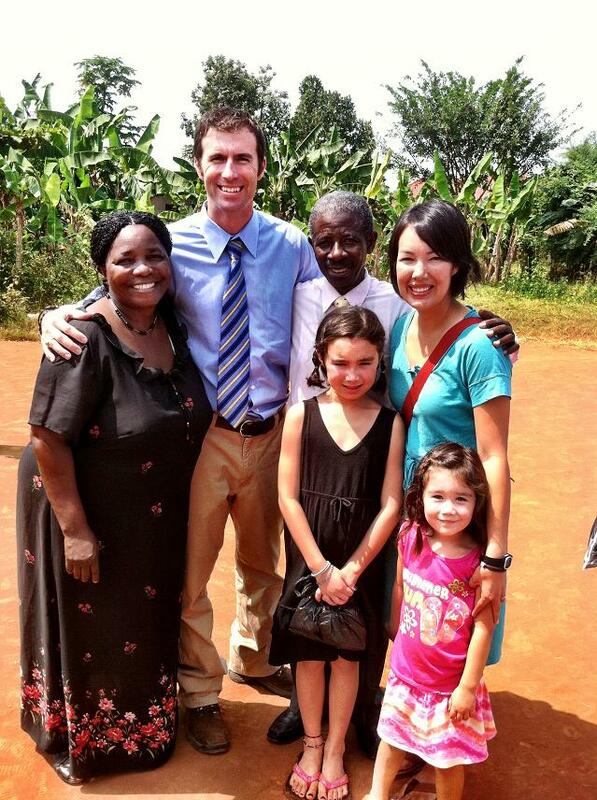 His wife Flo and their two daughters, Grace & Sophie, spent the summer of 2012 in Kampala, Uganda working with Sixty Feet. They reside in Texas where he teaches, coaches, reads, laughs, loves and runs. Since 2007 Boog has completed numerous 25k to 100k trail races and road marathons, while encouraging runners of all ages, that once you’re out the door, you’ve won. As far as running mantras go, H.U.R.U. isn’t bad. I picked this up from an article in Ultrarunning by Gary Dudney. It stands for: Healthy, Uninjured, Rested, Unafraid. 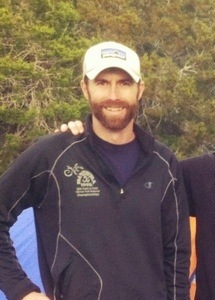 Last week at the USATF 100k National Trail Championships in Bandera, Texas – HURU worked, for me at least. In Uganda, in the centers filled with children forgotten by all but a few, in the streets and slums from which these children have fled or long for, and in the far hills of the Karamoja Region – HURU is an alien concept, and then again, it isn’t. Healthy is an exception in a place where a child may lose a hand from the combination of a scratch and lack of Neosporin, or clean water, or soap, or someone who cares. Uninjured is inconceivable in a country where children will hitch rides in the wheel-wells of busses, holding their younger siblings, for hours on end, just to make it to the city so they can have a better life begging . Rested is the exception – Kampala never sleeps. Concrete floors are hard and cold. Days are harried. Unafraid – unlikely. Kony was not an anomaly. Uncles and step-parents have proven just as deadly. The beautiful saints we met while working with Sixty Feet in Uganda this summer have experienced and are living in these same real and surreal circumstances, compounded by the fact that they are giving their lives to combat these realities on behalf of defenseless children. But there is a second verse. For while I’m absent from my Ja-Ja Catherine and brother Boaz in Bwerenga, I’m tempted to dwell on their utter-H.U.R.U.-deficiency, however, I know that this is unfair and incomplete. Healthy is the faith that Sixty Feet’s Ugandan and American workers possess. It is a joyous, abiding, exciting, courageous faith, unlike any I’ve encountered in my life. Sixty Feet has been uninjured by the numerous obstacles that beset the work and has consistently grown the presence of the Gospel in each and every market, slum, center, cell, clinic bed, welding class and church where their feet tread. Although the work is not done by a long shot in Uganda, there is an abiding calm assurance that the Lord of the Harvest will provide all that is needed and is constantly at work in all His laborers. Unafraid…I, honestly, cannot imagine the trembling of the enemy that considers standing between saints like our friends in Uganda and a child to be rescued. Sixty Feet in Uganda and in the U.S. is taking H.U.R.U. and letting that light shine. It honors the Lord by lending His courage, confidence, immortality and life to those most in need. They do this by faith with your help. You can do this by praying for the work, workers and children. You can personally donate, or seek per mile and outright donations on your behalf as you try something crazy like running a Marathon, or Half, or to the store and back (you’d be surprised how eager your friends will be to induce you to suffer). You can talk! One of my favorite things about running is the community – runners tend to be chatty about running and ultimately life. Be real – runners are a warm group – let them know what’s on your heart and keep the H.U.R.U. – HEROES of Sixty Feet planted firmly there so that every child once hurt, left, lost and longing will, by the Grace of God be: Healthy, Uninjured, Rested and Unafraid.